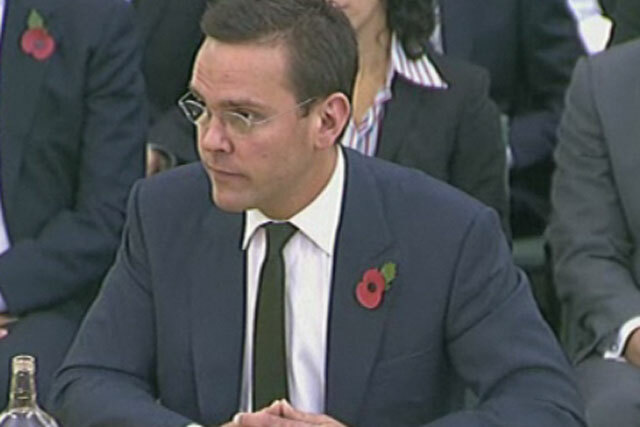 James Murdoch has resigned from the board of News Group Newspapers, publisher of The Sun, and Times Newspapers, the publisher of The Times and The Sunday Times. According to filings at Companies House, Murdoch's position as a director of the board of News Group Newspapers Ltd was terminated on 16 September, while his directorate at Times Newspapers Ltd terminated on 28 September. He retains his position as chairman of News International, News Corporation's publishing division which includes the three papers, and is still a director of NI Group Ltd and Times Publishing Holding Ltd.
Murdoch is coming under increasing pressure over his role in the phone hacking crisis after former News of the World editor Colin Myler and legal affairs manager Tom Crone challenged his version of events around the hacking scandal. Earlier this month, Murdoch told the Culture, Media and Sport Select Committee that Crone and Myler had not shown him evidence that hacking was widespread at the paper, at the time of the hacking scandal. Next week, at pay-TV provider BSkyB's annual general meeting, shareholders will be asked to vote for Murdoch's re-election as chairman and, while the support of News Corporation is secure, he could see opposition from other shareholders. Last week, investor lobby group Pensions & Investment Research Consultants (Pirc) advised shareholders to vote against Murdoch’s reappointment as chairman, although chief executive Jeremy Darroch has said most investors understood the "huge contribution" Murdoch has made. Tom Mockridge, Rebekah Brooks' replacement as chief executive of News International, was appointed as a director of News Group and Times Newspapers on 26 September, two months after his appointment on 15 July. News Corporation pulled out of its bid for the 60.9% of Sky it does not already own in July, after increasing revelations about the extent of hacking at the News of the World strengthened political and popular opinion against the bid. Murdoch took on the additional role of deputy chief operating officer of News Corporation, in addition to his position of chief executive and chairman of News Corporation International, in April, but the likelihood of him succeeding his father Rupert Murdoch as chief executive and chairman of News Corporation, is now looking less certain. A spokeswoman for News Corp said: "Following the appointment of Tom Mockridge as chief executive of News International, in September James Murdoch stepped down from the boards of a number of News International subsidiary companies including News Group Newspapers NGN) and Times Newspapers Ltd (TNL). "He remains chairman of NI Group Ltd (News International) and a director of Times Newspapers Holdings Ltd (TNHL), the holding company of Times Newspapers."